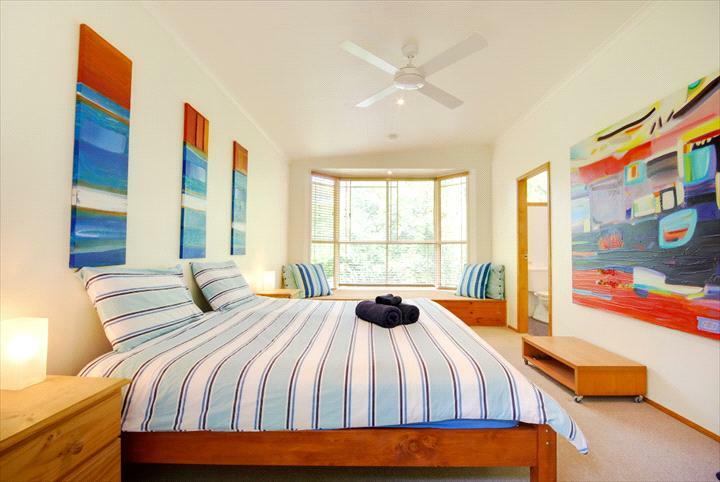 A Relaxing B&B Retreat This property offers beautiful accommodation set within 2.5 acres of tropical landscaped gardens just over 3km from the centre of Byron Bay. 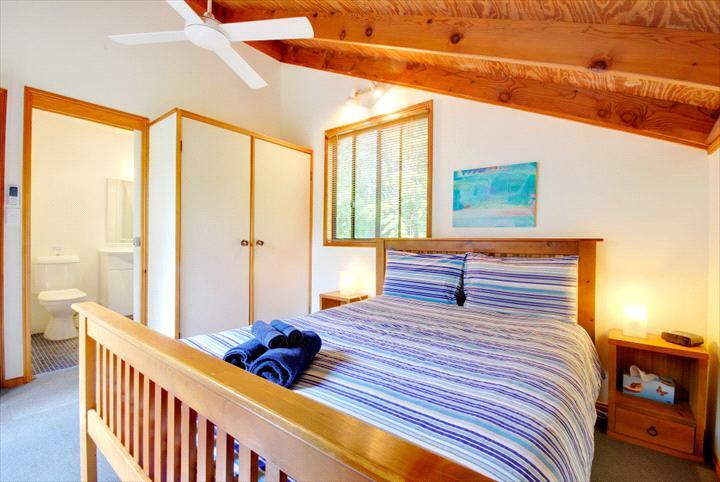 You will love the relaxed atmosphere created in this modern B&B style retreat. This property offers 5 bedrooms, each with modern ensuite bathroom, one with a double spa. All rooms overlook our lush gardens. All stays include extensive continental breakfasts each morning with plunger coffee, home baked bread or muffins, a fresh newspaper and much more. We are the only true remaining oasis that close to town! The only thing you hear will be the soothing sounds of frogs and birds. This is a great place to relax and unwind. We do however have FREE and FAST wireless broadband in all guest rooms and common areas (even on the shady decks outside). 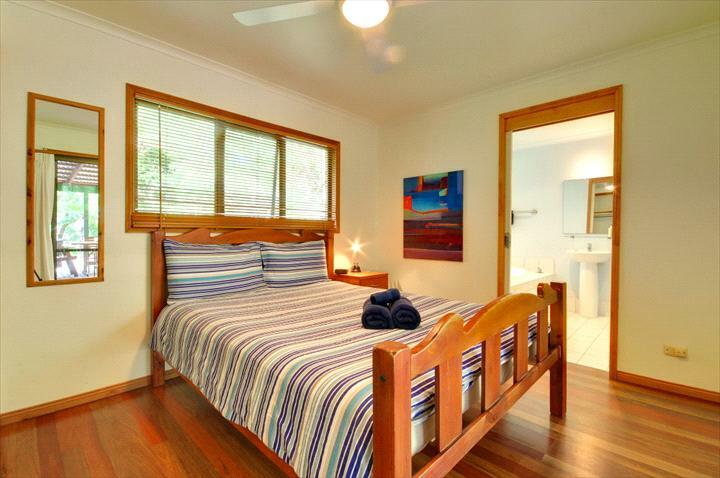 Bedrooms & Bathrooms Spa Double room: Queen size bed. En-suite with double spa bath & separate shower. En-suite rooms: Twin or Queen size bed. En-suite bathroom with shower. Melaleuca Drive is an unsealed road, just off Ewingsdale Road (the main road into Byron Bay from the North). If you come from Byron Bay it is the first road on the left after Belongil Fields Camping Ground. If you come from the highway you will see a BP petrol station on the left (~3 km) and Melaleuca Drive is on the right, just after. There is a B&B sign on the beginning of the road. Large room with separate entrance and ensuite bathroom - overlooking the gardens - Extensive continental breakfast included. This room can be set up with different bedding configurations including King Double, Twin Share or Triple.